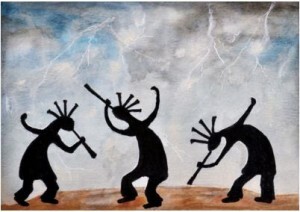 Kokopelli silhouettes dance under a stormy sky in hopes for rain. Here in the Southern Hemisphere, there is no sign of a wet season coming to break the drought in this part of Central Queensland. Perhaps that’s why I noticed this very handsome bamboo-handle umbrella but was a bit taken back by the $450 price tag. It’s just the sort of thing I’d leave behind in someones umbrella bin, I’m sure. There are, however, some much more reasonably priced ones on Amazon . You’ve seen bamboo toothbrushes on these pages before. This one comes from Selfridges, with a marketing strategy focused on dirty weekends???? No prices because they were out of stock when I looked. Is that an indication of popularity? Of course you will find a large range, probably much cheaper, on Amazon . 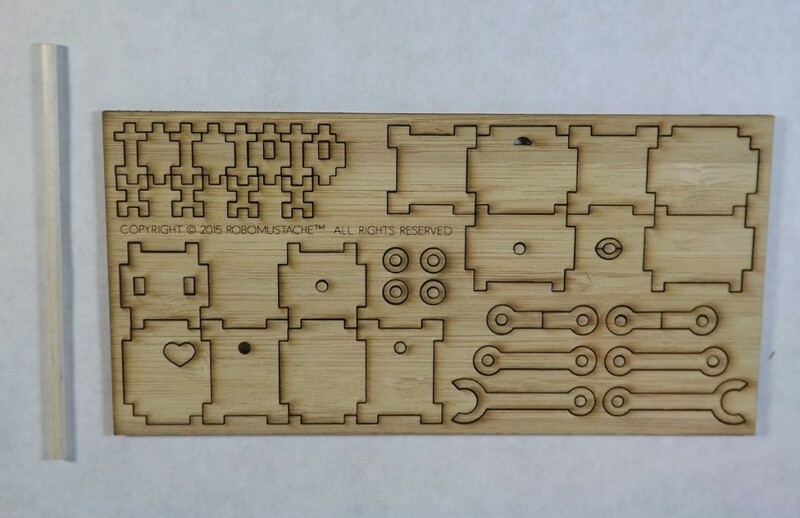 This looks really different – a bamboo robot kit. Geekdad was gifted one and tells his little story about making it. There’s nothing new, or even exciting about bamboo steamers. 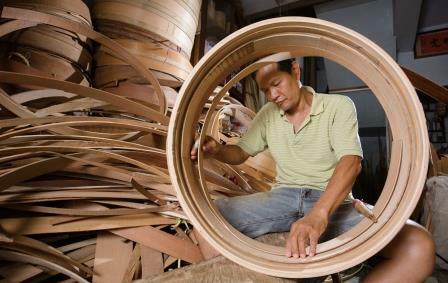 Ubiquitous in the East, here is a lovely little story from Taiwan about the construction of, and demand for, bamboo steamers. Of course there are plenty on Amazon , just not of the size of the ones featured in this story. 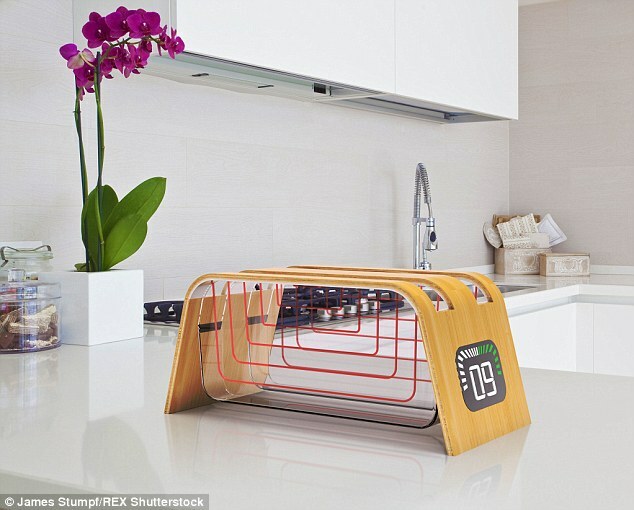 If I still ate toast, I’d love to have one these: eco+toaster. Yes, it’s a see-through toaster with a bamboo frame. 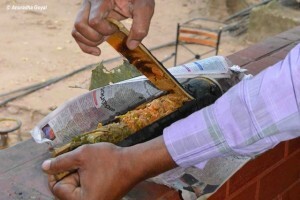 Random recipe: Bongulo chicken, from India. Chicken skinless – 500 grm. Mix all the above ingredients in a bowl. 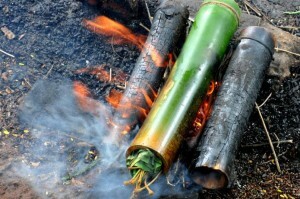 Stuff in bamboo and cook over fire, according to the images. An alternative recipe can be found here, with more details about how to put the chicken mixture in the bamboo. A quick YouTube search will give more detailed instructions. That’s probably all from me for 2015. May all life’s best be yours in 2016. This entry was posted in All, Bamboo around the world, Bamboo on the Internet, Food, Home and Health on 24/12/2015 by Deb.